Insulin pump therapy, also known as continuous subcutaneous insulin infusion (CSII), is an important and evolving form of insulin delivery, which is mainly used for people with type 1 diabetes. However, even with modern insulin pumps, errors of insulin infusion can occur due to pump failure, insulin infusion set (IIS) blockage, infusion site problems, insulin stability issues, user error or a combination of these. Users are therefore exposed to significant and potentially fatal hazards: interruption of insulin infusion can result in hyperglycaemia and ketoacidosis; conversely, delivery of excessive insulin can cause severe hypoglycaemia. Nevertheless, the available evidence on the safety and efficacy of CSII remains limited. The European Association for the Study of Diabetes (EASD) and American Diabetes Association (ADA) have therefore joined forces to review the systems in place for evaluating the safety of pumps from a clinical perspective. We found that useful information held by the manufacturing companies is not currently shared in a sufficiently transparent manner. Public availability of adverse event (AE) reports on the US Food and Drug Administration’s Manufacturer and User Facility Device Experience (MAUDE) database is potentially a rich source of safety information but is insufficiently utilised due to the current configuration of the system; the comparable database in Europe (European Databank on Medical Devices, EUDAMED) is not publicly accessible. Many AEs appear to be attributable to human factors and/or user error, but the extent to which manufacturing companies are required by regulators to consider the interactions of users with the technical features of their products is limited. The clinical studies required by regulators prior to marketing are small and over-reliant on bench testing in relation to ‘predicate’ products. Once a pump is available on the market, insufficient data are made publicly available on its long-term use in a real-world setting; such data could provide vital information to help healthcare teams to educate and support users, and thereby prevent AEs. As well as requiring more from the manufacturing companies, we call for public funding of more research addressing clinically important questions in relation to pump therapy: both observational studies and clinical trials. At present there are significant differences in the regulatory systems between the USA and European Union at both pre- and post-marketing stages; improvements in the European system are more urgently required. This statement concludes with a series of recommended specific actions for ‘meknovigilance’ (i.e. a standardised safety approach to technology) which could be implemented to address the shortcomings we highlight. 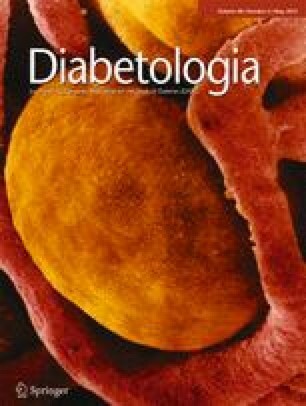 This article is being simultaneously published in Diabetes Care and Diabetologia by the American Diabetes Association and the European Association for the Study of Diabetes. Copyright 2015 by the American Diabetes Association and Springer-Verlag. Copying with attribution allowed for any non-commercial use of the work. Insulin therapy by means of continuous subcutaneous insulin infusion (CSII) is an efficient and flexible method of insulin delivery that can be associated with improved glycaemic management and clinical outcomes [1, 2]. Insulin pumps have evolved rapidly since their introduction nearly 40 years ago, and are now smaller, more precise and more reliable than their predecessors. There is growing use of insulin pumps in individuals with type 1 diabetes of all age groups, as well as in some individuals with type 2 diabetes. The ratio of children to adults using an insulin pump appears to vary across countries. Many pumps now have dedicated meters for self-monitoring of blood glucose (SMBG) that can automatically send blood glucose readings to the pump and are equipped with algorithms for suggesting bolus doses based on user-estimated grams of carbohydrate and blood glucose level. Recently introduced systems consist of a dedicated continuous glucose monitor (CGM), an insulin pump and a control algorithm that includes a ‘threshold suspend’ or ‘low glucose suspend’ feature. In this way, basal insulin infusion is interrupted for 2 h if the glucose level reaches a pre-specified value and the patient does not react to the hypoglycaemia alert [3, 4]. Increasingly automated ‘closed-loop’ systems are being developed. The increasing use of pumps and innovative technology have been widely welcomed by the international diabetes community. However, there are associated challenges, including potential risks to users. In this context, the American Diabetes Association (ADA) and the European Association for the Study of Diabetes (EASD) have joined forces to review the systems in place for evaluating safety from a clinical perspective. The aim was not to replicate overviews of CSII therapy available elsewhere , but instead to consider how healthcare professionals, pump manufacturers, regulatory authorities and policymakers can best ensure the safety of new and longstanding users of insulin pumps as the technology continues to develop. We gathered evidence from clinical experience, the published literature, regulatory authorities and pump manufacturers. It was recognised that rapid innovation in this field and the continuous introduction of new features dictate a short product lifecycle for each specific model of pump. The approaches used for ensuring device safety therefore differ in significant ways from those required for drug safety. In general, CSII is a treatment option for adults with type 1 diabetes who are motivated to improve glycaemic control following a trial of multiple daily insulin injection (MDI) therapy and who can show the level of self-care required for adherence. The situation is broadly similar in children, although in some countries CSII is routinely started at the time of diagnosis. Guidelines are available recommending either broad  or narrow  indications (see 3a in the text box of recommendations below). Although there is no overall consensus, it is widely accepted that those with frequent, severe hypoglycaemia and/or hypoglycaemia unawareness may derive particular benefit. Individuals with type 2 diabetes may be considered for CSII therapy in some countries. As CSII is more expensive than MDI, some healthcare and insurance systems will only reimburse the additional costs when they judge the health economic data to show evidence of significant benefit. However, other healthcare and insurance systems, including in the USA, increasingly consider CSII to be a lifestyle choice and are adapting policies accordingly. Rates of CSII use appear to vary greatly internationally [7, 8]. The total number of pump users worldwide is unknown as the numbers sold and operating are not currently reported by the manufacturers, but estimates from financial reports suggest that the number may be 0.75–1.0 million. A recent Medtronic MiniMed Paradigm and 530G pump recall included 444,374 units in the USA and 293,000 patients elsewhere . We would consider it helpful to have a more accurate estimate of the number of insulin pumps in use to allow a more reliable calculation of the rates of pump malfunctions and human errors. More detailed information on use of the different models would also help to understand usage patterns, tracking outcomes and making informed estimates of treatment costs (see 2a, 4b). The various makes and models of pump available use different technological solutions for delivering insulin. To obtain marketing approval, manufacturing companies must submit a premarket notification demonstrating fulfilment of regulatory requirements [10, 11, 12, 13]. The principal criterion is that the pump is at least as safe and effective as a ‘predicate’ device already in clinical use. Satisfactory mechanical performance under highly controlled conditions, physical robustness (e.g. impact of water or temperature) and adequate precision of insulin delivery must be demonstrated. All those released on to the market should fulfil certain standards of precision when new, e.g. the International Electrotechnical Commission (IEC) standard 60601-2-24 for infusion pumps in the USA. In the USA, the Food and Drug Administration (FDA) classifies insulin pumps as Class II (moderate risk) devices. However, those that are part of an integrated system with a CGM are classified as Class III (higher risk) devices. Class III devices are required to go through a Premarket Approval process involving scientific and regulatory review of extensive original data to evaluate safety and effectiveness. It is important to note that clinical studies are not required for Class II insulin pumps to be granted marketing authorisation: manufacturers are generally only required to perform small ‘human factors’ studies to verify that pump users can understand and properly use the device or newly introduced features. In contrast, clinical trials are required for Class III systems, but the focus of such studies is on the safety of the algorithms and functionality of the system rather than on the performance of the pump per se. From a clinical perspective, it is clear that daily use of devices containing electronic and moving parts in a wide variety of conditions poses considerable challenges to performance. For example, the precision of insulin infusion rates over the lifespan of a pump might be acceptable at the time of manufacture but may not be as precise following several years of real-world use. We consider that bench testing at the pre-marketing stage provides insufficient information for users and healthcare professionals on longer term durability in the real world (see 2d). In the European Union (EU), pumps are classified as Class IIb. Review of marketing applications is delegated to ‘notified bodies’ who can exercise considerable discretion in the nature of the evaluation they require in order to grant certification (the ‘CE mark’). This system provides a lower level of safeguard than that used in the USA against a device posing a significant risk of harm being distributed in the marketplace . In 2011, following highly publicised issues with non-diabetes medical devices (breast implants and hip replacements), the EU Commission urged notified bodies to act only within their areas of expertise and to exercise their full range of regulatory powers. Use of a database for sharing safety information on medical devices amongst national competent agencies and regulatory authorities was made obligatory (see below). Since then, there has been a strong political will to strengthen the system, but more fundamental changes have been delayed (see 1a). Once insulin pumps and other medical devices are marketed, associated adverse events (AEs) or concerns can be reported either to the manufacturers or directly to the regulators: the FDA in the USA or the National Competent Authority (NCA) in the EU . The FDA requires that manufacturers report and analyse spontaneously-reported AEs associated with all medical devices. It has the authority to impose additional post-marketing surveillance requirements on the manufacturer. In the EU, post-marketing and pre-marketing evaluation is delegated to the individual national authorities. AE reports from insulin pump users provide a potentially rich source of information for quality assurance and improving safety (see 5a). In the EU, AEs are compiled in the EU-wide database known as the European Databank on Medical Devices (EUDAMED). This database is accessible to notified bodies and NCAs (e.g. the Medicines and Healthcare Products Regulatory Agency in the UK, the Agency for the Safety of Health Products in France), but cannot be accessed by the public. We have therefore focused on the FDA’s adverse reporting system and relied primarily on the Manufacturer and User Facility Device Experience (MAUDE) database as a source of data (www.accessdata.fda.gov/scripts/cdrh/cfdocs/cfmaude/search.cfm, accessed 24 December 2014). Detailed reporting is time consuming and provides no direct benefit for physicians: our analysis of MAUDE (see below) suggests that the majority of reports are submitted by users, as AEs listed contain less detail than would be expected from physician-submitted reports. In cases of pump failure or malfunction, the device is usually returned to the manufacturer for analysis but the outcomes of the resulting investigations are not made public (see 2e). Companies are required to share the AE data they receive with the regulatory authorities. Each has its own procedure for reviewing and categorising incoming reports and is responsible for identifying any pattern of serious harm associated with use of its products. Much of the responsibility for ensuring safety is therefore delegated to the pump companies themselves (including companies that provide insulin infusion sets [IISs] and insulin products). The FDA has powers to react to specific concerns via a range of options, e.g. requesting the company to provide additional data, intensify surveillance, issue letters to users/physicians or recall the device. National authorities in the EU (rather than the European Medicines Agency [EMA]) provide more limited oversight. AE reports on the MAUDE database are publicly available and contain information including manufacturers, device brand names and dates of reported events. However, the system is only searchable using pre-selected categories in a menu system rather than by user-selected keywords. It is therefore difficult to apply clinically relevant filters to reports, e.g. model of pump or demographic group affected. It is not possible to extract the types of AE that are most likely to occur at different stages in an individual’s journey of care. Moreover, it is difficult to interpret the extent to which individual events were finally attributed to device or IIS malfunction, user error or a combination of these (see 2g). For the calendar year 2013, our search of MAUDE produced 24,066 manufacturer and user device reports covering a wide variety of insulin pump-related issues. The menu search term selected was ‘pump, infusion-insulin’. It is possible that more reports are available under additional search terms, but this phrase provided the longest list of relevant reports. In this analysis, there were nearly 30 times as many reports relating to a pump from one of the smaller manufacturers (n = 19,564) as there were for one of the most frequently used pumps (n = 718). These differences confirm that understanding and comparing reported rates of AEs is problematic: the data are not suitable for comparative analysis, but individual reports do highlight important issues that emerge in routine clinical practice. In a published 10 year retrospective study of AEs reported to the FDA, 1,594 reports related to insulin pumps were documented between 1996 and 2005, including 13 deaths . Notably, the number of serious and fatal medical device AEs rose by about 17% per year between 2001 and 2009. The reason for this trend is uncertain but may be related to the expanding use of pumps. As with our own analysis, this study was uncontrolled and lacked FDA verification of the accuracy and completeness of the reported AEs (see 1b). On the basis of our investigations, we believe that a more standardised and transparent approach to identifying, reporting and cataloguing AEs would help both patients and healthcare providers understand the risks associated with insulin pump therapy (see 1a–c). This could be achieved in large part by improvements to the MAUDE and EUDAMED systems. For example, better access to these data coded with relevant keywords could help to identify common causes of AEs and foster the development of tailored approaches to re-education and/or reassessment of suitability for ongoing pump therapy following critical events (see 3b). Owing to the speed of innovation, small modifications are made over time to pumps, their associated software/menu systems and the manufacturing process without undergoing clinical studies or being publicly announced. Manufacturers have to document such changes in both the USA and the EU, but these data are not publicly accessible. More transparency would be of help to quantify and understand the impact of such changes on the rates of AE reports and their contents (see 2f). The FDA has now approved two sensor-augmented pump systems and one threshold suspend system, which are Class III systems. After approval of the threshold suspend system, the FDA also required the company to undertake a significantly enhanced post-marketing surveillance study, which will require active follow-up of all users with periodic phone survey or, in some cases, office visit follow-up. This higher level of reporting related to actual (real-world) user experience may provide an opportunity for assessing the value of enhanced post-marketing surveillance of pump use. For instance, it may determine how many button and infusion set errors, blank screens and actual pump failures occur during use of this device. If informative, it could serve as a model for increased surveillance of Class II pumps (see 1b, c, 2c, 4b). When a user returns a pump to the manufacturer, its performance status following real-life use can be evaluated. The FDA informed us that all publicly available data from such analyses are listed in MAUDE. However, as with AEs, although some information is available in individual reports, it is not currently possible to extract a summary of the problems most frequently found and categorise them as mechanical, electronic or related to the IIS (see 1b). In our view, an opportunity is therefore missed to glean relevant information about safety. To supplement information available from MAUDE, we asked companies for summarised information on how many calls they receive, how they assess the incoming information (e.g. malfunction vs user error), how many pumps are returned and how they select what they report to the regulatory agencies. We sent a formal request seeking such information (signed by the ADA and EASD) to the manufacturers (Animas, Cellnovo, Medtronic MiniMed, OmniPod, Roche and Tandem) on 20 June 2014. All replied promptly stating they would provide the requested information within a few weeks. By the time this statement went to press, we had received information from three companies in the form of an in-person meeting with Tandem, a conference call with OmniPod and a PowerPoint presentation from Roche Diagnostics. From the two meetings it was clear that no primary data on pump approval or safety data would be available, although companies were in general willing to share information on the process by which they tested their pumps, their perception of the regulatory process, and their systems for AE reporting. We also sought information on pump and pump-related device recalls. In a search under ‘Medical Device recalls’ for pumps in the FDA Medical Device Recalls database (www.accessdata.fda.gov/scripts/cdrh/cfdocs/cfmaude/search.cfm, accessed February 2014) 124 entries were found for the past 12 years. However, many of these entries were duplicates, and the actual number of discrete recalls was 10. Interestingly, most of the issues related to IISs and cartridges rather than pumps themselves (see below). Many pumps offer a variety of programmable boluses according to the type of meal ingested. However, these boluses are named differently by each manufacturer, posing a challenge for education and training. Furthermore, the speed with which a given insulin bolus (e.g. 10 units) is applied once it has begun differs considerably between insulin pumps; our knowledge about the impact of such differences on metabolic control is scarce . From a clinical point of view we consider it important to have information on whether these enhanced features are considered helpful by either users or healthcare professionals as an aid to achieving good glycaemic control (see 2b, 4b). Most (but not all) pumps have the facility to receive blood glucose values directly from an SMBG meter. Provided the estimated carbohydrate content of the meal is entered by the user, this allows the pump to calculate correction doses and meal boluses according to consideration of ‘insulin on board’. When used correctly, an insulin dose calculator can help to prevent errors by decreasing both overtreatment and undertreatment; such features claiming increased safety by thus preventing both hypoglycaemia and hyperglycaemia are highlighted in marketing materials. Many pump users might benefit from these, but almost no good evidence exists in support of this assumption . We are aware of users who appear to derive benefit from pump therapy without being able to make full use of these features, and providers who are reluctant to advocate them in the absence of more definitive supporting evidence. An important aspect of medical device design and development is human factors engineering, which is the study and optimisation of how people use and interact with technology. Over the last decade, the FDA has established clear requirements for the design and evaluation of new medical devices with respect to human factors . Manufacturers of insulin pumps are required to evaluate the handling of new devices by regular users rather than just engineers and highly trained laboratory personnel. These measures are intended to verify that the devices will work safely, accurately and reliably before they reach the market. However, studies of actual everyday use are not required. Human factors studies and analyses occur in a number of settings, including evaluation in the clinic of user performance in adjusting pump functions or inserting IISs. There will usually be a focus on a specific aspect, e.g. understanding written instructions or being able to read a display. These evaluations complement typical clinical trials, which are not sensitive to identifying or quantifying many aspects of human performance. Human factors evaluation of insulin pump systems is an important part of the FDA’s pre-market evaluation process. It is to be welcomed, but we believe that more studies are required to guide efforts to optimise the design of pumps according to the needs of different groups of users (see 2b, 3c, 4a). When insulin infusion is genuinely blocked for any reason, the user needs to be warned as soon as possible because there may be only a few units of insulin in the subcutaneous depot around the tip of the infusion needle/cannula. This insulin is fully absorbed within hours, so hyperglycaemia or ketoacidosis can rapidly develop following catheter occlusion if the glucose level is already elevated or rising quickly. However, this requirement is balanced by the need to minimise inappropriate warnings that may cause ‘alarm fatigue’. Depending on the technology used by the pump and the infusion rate required by the user, it can be many hours before an occlusion alarm is signalled, leaving the user at risk of serious harm. Inappropriate handling while changing the insulin cartridge or technical errors with the IIS represent additional sources of risk e.g. priming the infusion set while it is connected to the user or connecting the infusion set without due attention (see 2b, c). The number of publications focusing on IISs is small. However, many AEs on the MAUDE database relate to IIS difficulties. The reasons for occlusion vary and may relate to the frequency of IIS change, ‘kinking’ of the catheter in the skin or of the tube between the pump and the catheter. The mechanisms underlying blockage are not well understood; it is speculated that a complex interaction can occur between the plastic material used in the IIS, the insulin formulation used, the way the insulin is pumped and the infusion site. This might be due to differences in the physico-chemical stability of insulin related to the properties of the IIS. It is noteworthy that in the USA, labels for the duration of insulin cartridge usage vary between products: e.g. Apidra (insulin glulisine; B3Lys,B29Glu human insulin)—new cartridge recommended every 2 days; Novolog (insulin aspart; B28Asp human insulin)—new cartridge every 5 days. Insertion of IISs at the same skin site over and over again raises the risk of local skin reactions, including lipohypertrophy . From clinical experience, only a limited area of skin may remain available for catheter insertion in those who have used pump therapy for many years. There have been some case reports of lipohypertrophy/lipoatrophy in association with pump use or specific insulin types. However, there are very few systematic data on the epidemiology of lipohypertrophy in patients on CSII, including the extent to which insulin absorption from such skin areas is impaired (see 4b). We were unable to find guidelines on use of IISs specifically with insulin pumps, or on assessing difficulties associated with the long-term use of pump infusion sites over long periods of time. However, IIS issues have led to the greatest number of recalls by the FDA in the USA (see above). The pump and the IIS should be considered as parts of a system, rather than as individual components . However, this is not currently the case, as some IISs are cleared as part of the pump system under different product codes and some are cleared as a separate device product code. AE reporting is typically coded under the assigned product code when cleared. Therefore, IIS issues might be listed on different FDA websites (see 2c). ensuring that teams supporting pump users contain a critical mass of members with the necessary skill mix (medical, nursing, dietetics, diabetes educators) (see 5b). A US survey from the 1980s stated that 25% of CSII pumps malfunctioned: 29% of these malfunctions were due to drive failure and 14% due to battery issues . It is likely that these proportions are lower with modern pumps, but the available information is insufficient for this to be concluded with certainty. In the USA, the T1D Exchange Clinic Registry includes over 26,000 individuals with type 1 diabetes from over 70 centres across the USA on MDI or CSII [23, 24]. It represents a variety of demographic settings and approaches to diabetes management, but covers the more skilled and experienced centres with a relatively large volume of pump usage. In a report from this registry, individuals with the best HbA1c levels were more likely to be using CSII. In children, 69% in excellent glycaemic control used pumps compared with 41% of those in poor control . Of the 627 adults in excellent control (HbA1c < 6.5% [48 mmol/mol]), 54% were using an insulin pump compared with 46% in the fair/poor control group (HbA1c > 8.5% [69 mmol/mol]); p = 0.001 . Of 6,500 pump users who provided baseline and 1 year follow-up data, 4.4% had discontinued pump use in the past year, with a variety of reasons noted, most commonly relating to user comfort. Reported rates of ketoacidosis were similar between MDI and CSII users . The T1D Exchange Clinic Registry is closely allied to Glu, a US patient networking site that collects data on insulin pump use: this could also be a useful source of safety information if the data were made available for these purposes . In the EU, diabetes registries containing data from all (or at least most) of the total users in the population are established in Sweden, Scotland, Austria and Germany. Information from these registries on real-life use of pumps has been published ; more could be extracted with greater support, e.g. on user outcomes, HbA1c levels, frequency of SMBG, bolus administration, frequency of IIS changes, type of IIS used, type of insulin. Results from unselected cases from these cohorts might differ from those of clinical trials. In one survey of 640 new pumps from four different insulin pump manufacturers, 36% were reported to have a defect of some sort including 16% which had failed and 6.5% which required replacement due to a mechanical defect [27, 28]. To date, registries have focused on collecting data on metabolic control, but they should be encouraged to include a wider range of items in their databases, covering—among other aspects—AEs with insulin pumps. In the literature, several multicentre reports on the rate of and risk for discontinuation of insulin pumps as an indicator of patient/doctor dissatisfaction have been published [29, 30] (see 4a). Classical large multicentre clinical trials of sufficient duration to derive outcome data with insulin pumps are of limited feasibility as a result of rapid innovation and the introduction of new models during the period of study. However, there are already examples of large publicly funded clinical trials addressing clinically relevant issues (e.g. Relative Effectiveness of Pumps Over MDI and Structured Education [REPOSE], NCT01616784). More funding should be made available for such trials. Care should be taken to ensure that trials financed or supported by manufacturing companies are conducted by independent investigators to minimise bias and ensure credibility (see 4b). By harnessing innovative technology, modern insulin pumps appear to provide clinically important and increasing benefits for people with diabetes. This Position Statement aims to contribute to the improvement of pump technologies by stimulating the adoption of a more rigorous, standardised and transparent approach to safety, namely ‘meknovigilance’ (from the Greek mekhanikos, meaning ‘of the nature of or pertaining to machines’). On the basis of the evidence summarised above, we recommend the specific actions listed in the text box. We would like to thank Viktor Jörgens (Executive Director, EASD), Monika Grüsser (Vice Director, EASD) and Robert Ratner (Chief Scientific and Medical Officer, ADA) for their support in bringing this statement forward, and numerous other colleagues for helpful comments and discussion, especially Philip Home (University of Newcastle, UK) and Eric Renard (Montpellier University, France). We are also grateful for critical review of the manuscript by the FDA. No honoraria were received by members of the ADA–EASD Diabetes Technology Committee (AEDTC) for writing this manuscript or associated meetings, although travel costs were covered by the EASD and ADA. Most of the members of the AEDTC work with industry, as listed below; however, the industry is considered to have had no impact on the manuscript or its content by reviewers from the ADA and EASD. LH is partner of Profil Institut für Stoffwechselforschung in Neuss, Germany, and of Profil Institute for Clinical Research in San Diego, CA, USA. He is a member of a number of advisory boards for companies developing novel diagnostic and therapeutic options for diabetes therapy, including Roche Diagnostics, Sanofi, Abbott, and Medtronic. GAF is President and CEO of Kinexum, which advises multiple health product companies in the fields of metabolism, cardiology, oncology and dermatology. He was formerly Group leader, Division of Metabolism and Endocrine Drug Products, US Food and Drug Administration. JRP has served on an advisory board for one company manufacturing medical diagnostic devices (Alere) and for a number of companies manufacturing pharmaceuticals used in the treatment of diabetes. RWH coordinates the German/Austrian Diabetes Prospective Documentation (DPV) Initiative, which has been supported by Novo Nordisk, Medtronic, Roche Diagnostics, Boehringer-Ingelheim and Lilly through institutional research grants. RWH has not received any personal honoraria. RMB has done clinical trials, consulted or served on a scientific advisory board for Abbott Diabetes Care, Becton Dickinson, Bayer, DexCom, Eli Lilly, Johnson & Johnson, Medtronic, Novo Nordisk, Roche Pharmaceuticals and Sanofi; he receives no personal income from any of these activities as any payment goes to the non-profit Park Nicollet Institute. ALP has been a consultant for Medtronic MiniMed and has received a grant from the Medtronic/MiniMed Foundation. She has served as a consultant and/or speaker for multiple non-device-related companies. All authors made substantial contributions to the conception and development of the Position Statement. ALP led on acquisition of data and LH produced the early drafts. JRP coordinated the revisions in response to critiques and later versions, and GAF, RWH, RMB and ALP revised the article for important intellectual content. All authors approved the final version to be published.